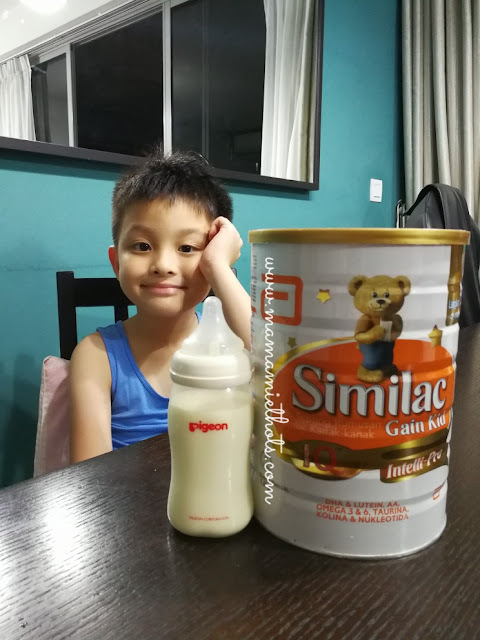 ~Mamamie's Thots~ Singapore Parenting and Lifestyle Blog: No more powdered milk! Someone has graduated on 26th October 2017! This little boy of ours finally told us that he wished to stop drinking powdered milk for good. I have been contemplating for a while whether to get him to stop by end of this year or even later. Luckily before I have to make any decision, the boy has made the decision on his own.